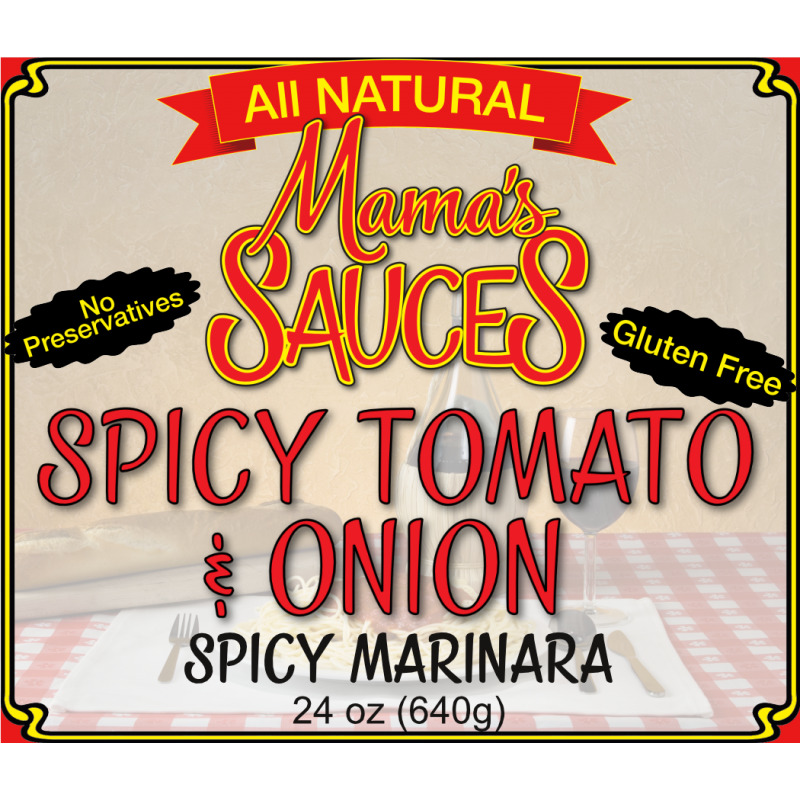 Our most popular sauce, Spicy Marinara is a delicious all natural, pasta sauce. 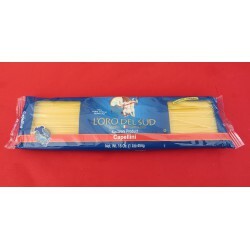 It is made from Imported Italian tomatoes (steam peeled). We chop them ourselves and add fresh garlic, onion and spices. Our favorite way to eat it is with our favorite (hot or mild) Italian sausage. We hope you enjoy it too! 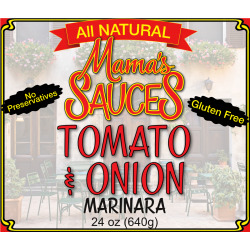 If you don't like the heat, try our Marinara! I want you to enjoy this meal as if I was cooking it for you myself. One of the largest family meals we made with Spicy Marinara was a Tennessee Reunion. There were 27 of us in 6 cabins by a lake. We each had the responsibility to prepare a meal for the family each night. We chose to make Spicy Marinara. This will always be a memorable occasion for me, because all 27 of us, gathered around crowded tables and enjoyed pasta with spicy marinara, salad and fresh garlic bread! So, whether you are 1, 2 or a family of 27, we hope you enjoy the sauce and the meal we helped you make at home! Saute your favorite Italian sausage until cooked. Pour Mama's Spicy Marinara on top of cooked sausage and heat on medium low, stirring occasionally. 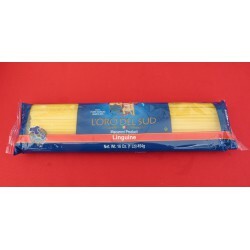 Serve over Capellini or your favorite pasta! Cut loaf of bread into 1" slices. Soften butter, add chopped garlic, parsley and a pinch of salt, mix well together. Butter both sides of each slice and any extra smear over the top.Wrap in aluminum foil and bake at 400 degrees for 15 minutes. Amazing! I just love the spicy marinara. Great flavor, only problem i have it over eating because it's so very good. I made pizza today for lunch. 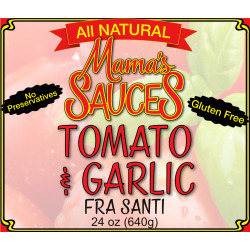 We used mamas spicy marinara for our sauce and boy was it good. Never a bad meal! So very good. 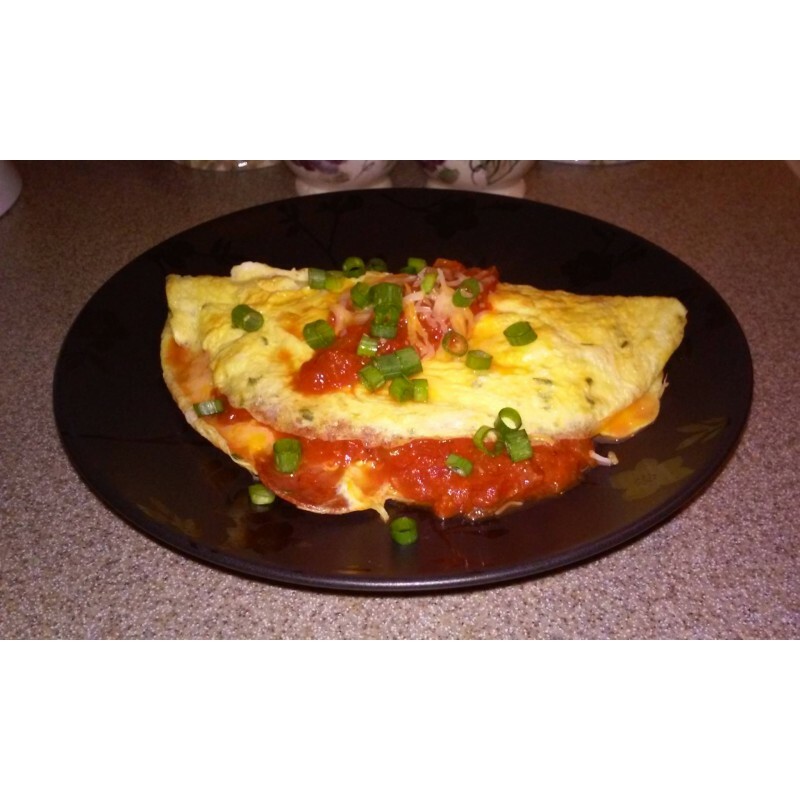 Got my jar of sauce yesterday (winner, winner, Italian dinner) and this morning used it make Italian omelets for breakfast. We love the sauce! Great rich flavor and the ingredients are very fresh tasting. Loved that the onion pieces were substantial and had a bit of crunch to them. Mama Sauce Spicy Marinara is full of all of the ingredients we all love. You can see the onions and spices, your taste buds get excited as soon as you open the jar and take a whiff of all of that homemade goodness!! 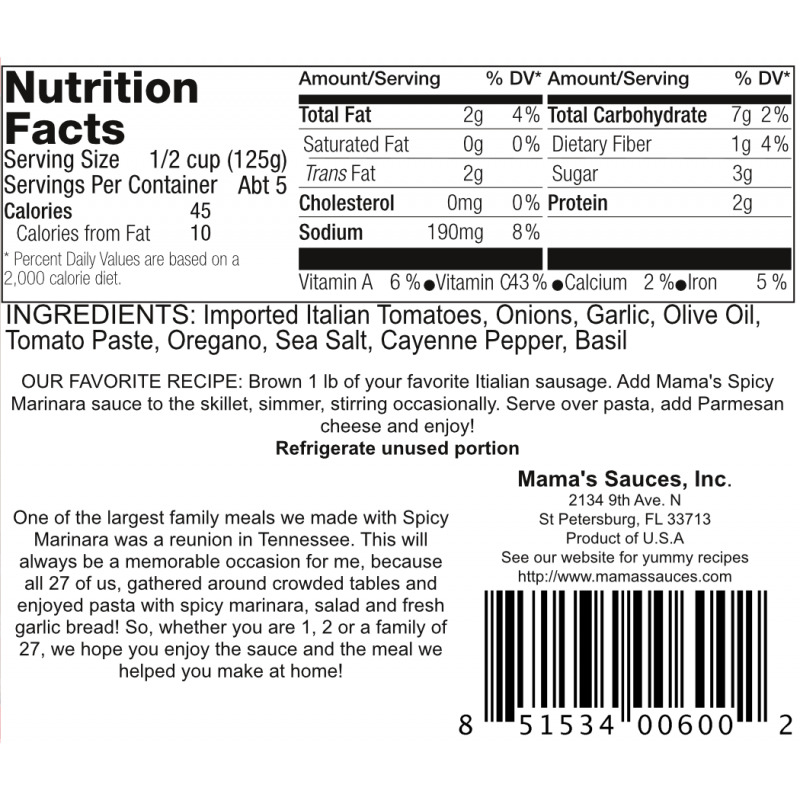 The spicy marinara goes wonderfully with Italian sausage and linguini. Loved both the spicy marinara sauces. Taste very fresh- really enjoyed them. Look forward to purchasing more ! 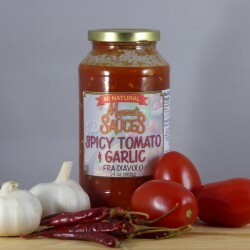 One of the best marinara sauces I've tasted, for sure. Fresh garden flavor with a wee kick. Love the fact that my son can read the ingredient list too. 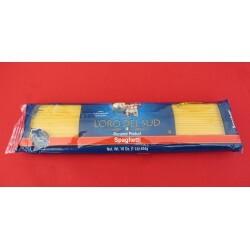 My family loved it with meatballs. We can't wait to try the others!